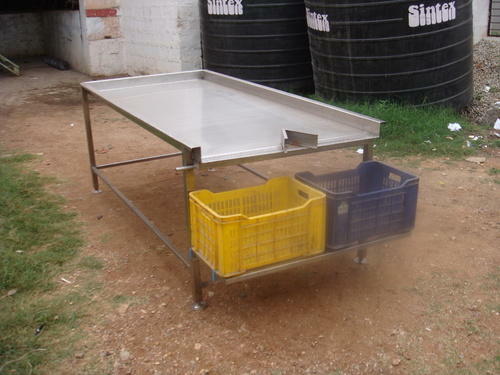 Leading Manufacturer of barrel or drum washer, drum trolley, crate trolley and gherkin sorting grading tables from Bengaluru. We are a leading manufacturer and supplier of Barrel Drum Washer. The provided range is made by using premium quality raw material and latest technology in compliance with set market norms. In addition to this, a team of our quality checkers conducts a series of quality tests on this washer to wash out any possible defect. In tune with international norms, we provide this Barrel Drum Washer in different custom made options and industrial leading prices. Mainly used in Gherkin processing industry for hygenic cleaning of drum and its accesseories. 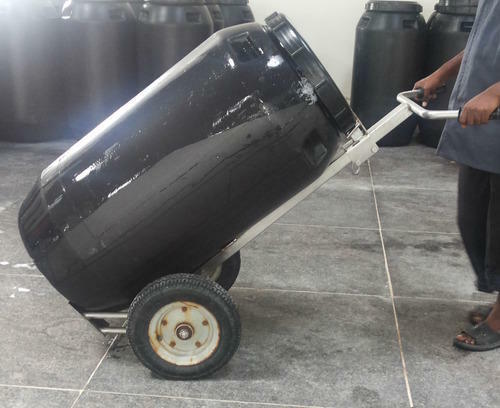 We are an eminent entity engaged in offering an extensive range of quality assured Drum trolley.Mainly used for carrying drum or barrel of 220litre oil drum,pulp barrels,powder barrels.Also 250 litre gherkin barrels in Gherkin industry.We cataring into Food Processing, Agriculture, Pharma and in all industries.Less weight, slim design, easy to operate by single person becomes very attactive and hot selling product.Avaiable in MS and SS grade steel as per the customer requirement. 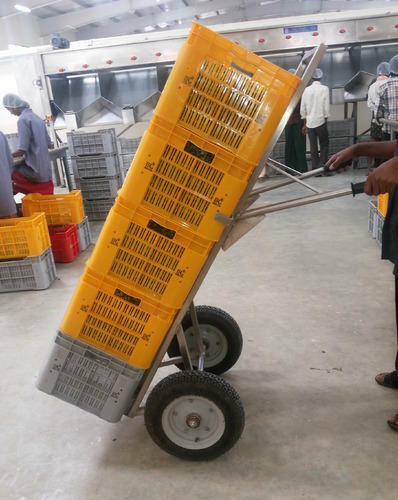 Owing to features like durability and easy installation, the offered trolley is extensively used for carrying drums. A team of our adept professionals, with hard-earned experience manufacture the offered trolley using high grade raw material. The offered trolley is available with us in various sizes, designs and other related specifications. Backed a team of hardworking experts, we have been able to bring forth an exclusive collection of Crate trolley. The offered trolley is designed using premium grade components by our dexterous professionals at advanced production unit. This trolley is ideal to be utilized for transporting gherkin, Fruits and vegetables from one place to another in trouble free manner. We have with us adept quality analyzer, who regularly checks the product to provide flawless delivery to patrons. In addition, the provided crate trolley can be purchased from us at budget friendly rates. Focused on technological up-gradation, dynamism and innovation, we are moving ahead by maintaining timeliness in delivering a wide gamut of Gherkin Sorting Grading Tables. The offered tables are manufactured using high grade raw material and contemporary technology. We assure our clients that our tables are quality tested on predefined parameters, in order to meet industry standards. 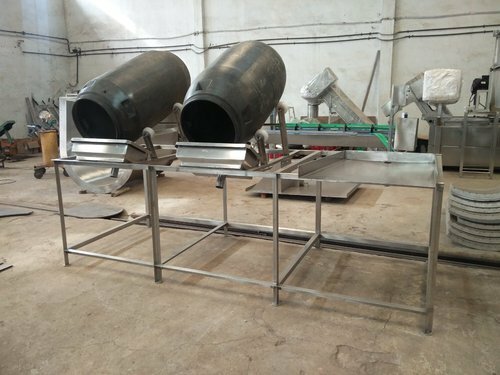 These tables are for filling gherkin in to Jars, Cans, and bottles also for sorting & grading of fruits & vegetables.etc. Apart from this, our prestigious clients can avail these tables, as per their needs, at highly competitive price. Looking for “Gherkin processing Accessories”?